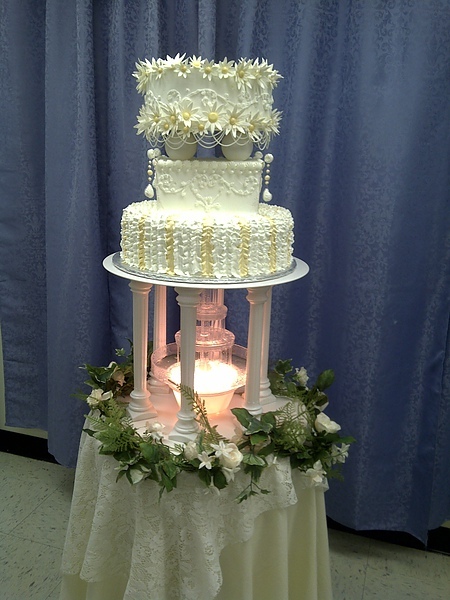 I have never dreamed about doing cake decorations. Not that I don't like amazingly gorgeous looking cakes, just that these cakes are usually not tasty. 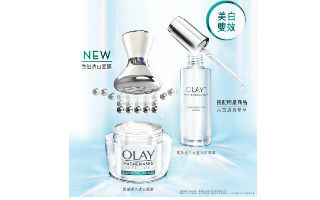 They seem like eye candies only, and I could not understand why take so much effort to produce something that will evantually, and usually very soon, be eaten. But, since I have been baking more lately, I do want my cakes to look as pretty as possible besides the good taste. Especially when there is an occasion, I secretely want it to be a center piece, hehehe... (My evil grin!) 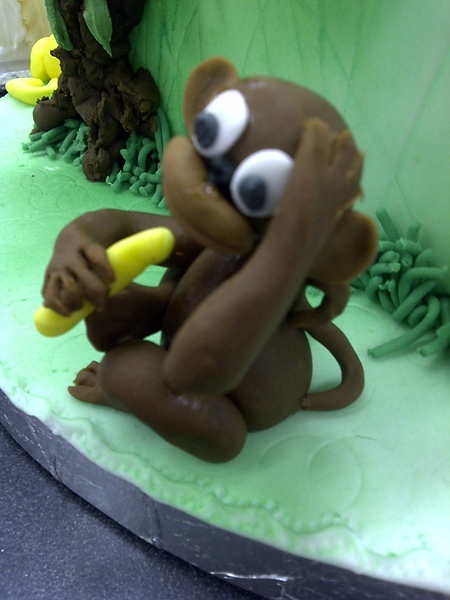 So I searched online, going to youtube, trying to learn from what people post about cake decorations. The result was very slim. I did not learn much at all from minutes of demonstrations online. So, I decided to attend a class, and that's when I learned about Wilton School. I remember seeing these classes in local Michael's craft stores, but I rather go to the original school to learn from the teacher's teachers. So I registered at the last minutes, and off I went. It has been one week of my Master Course at Wilton School in Darien, Illinois. 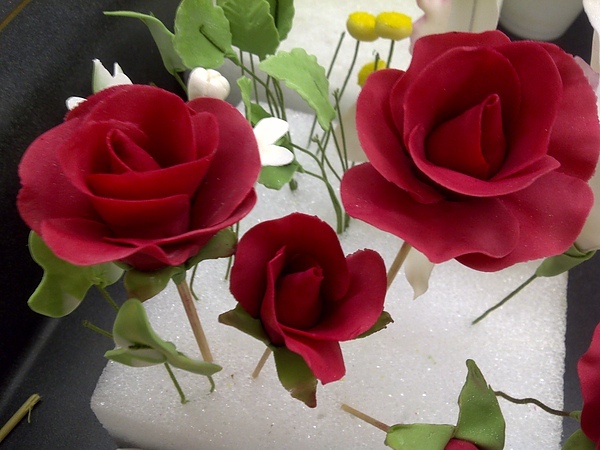 Besides the Master Course, I also signed up for two intro courses: one on fondant modeling and another one on gum paste flowers. I learn very much from these classes, too. The teachers and the students are all very nice. How can we not be? 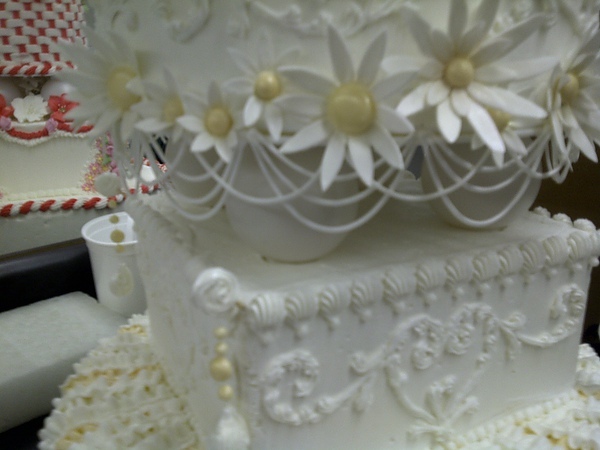 Decorating cakes is such an happy endeavor, and there are so much to learn, especially for a novice like me! 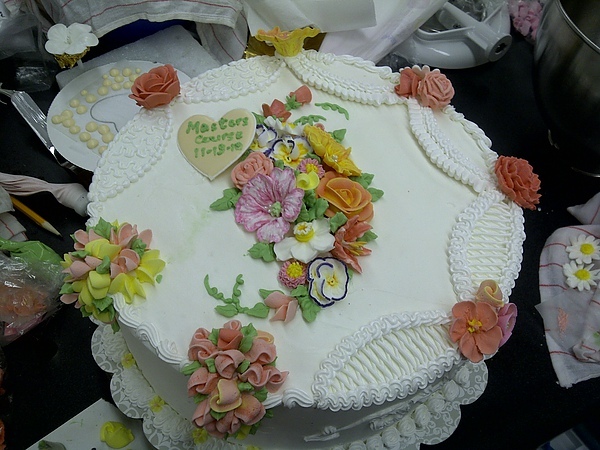 We had Sandy and Debbie teaching us the Master Course on icing and piping, Mary on gum paste flowers, and Lorena on fondant modeling. 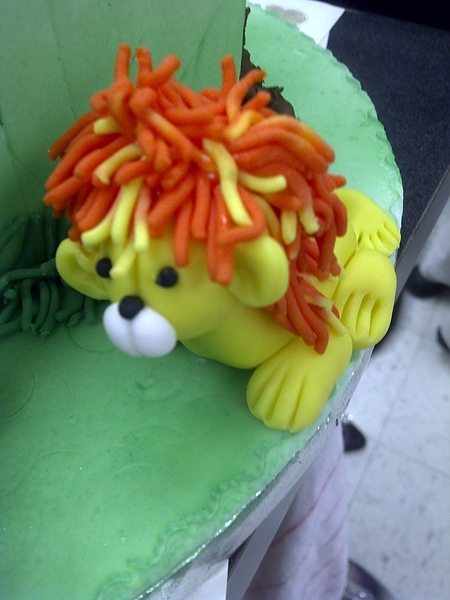 Although this is a program offered by Wilton, which makes the schooling sound quite commercialized, but the program is actually very solid and professional, and that all teachers are very serious about us learning to master the skills of cake decorations. With practice, I have, for the first time, been able to comfortably pipe the shells, rosettes, scrolls, and flowers, including the roses that I have failed to make from youtube. Sandy had been to Taiwan to teach a Master's Course about six years ago. Not only was she a wonderful teacher, but a good friend to all of us at the end of the course. Her professionalism and open-mindedness on creativity made the whold learning process encouraging and most enjoyable. Thank you, Sandy! I'm most grateful that my Moaster's Course final project was very well received, and that the instructors and the school administrator selected it for a photo shoot. They MIGHT USE it for future publications. Only "might use", but that already made me ecstatic!